Manorama publishing house has launched its Travel magazine named 'Manorama Traveller' in Malayalam today. The magazine was launched by actor Prithviraj at Kochi. The inaugural issue of the monthly magazine features a cover story on Badami, the regal capital of Badami Chalukyas. 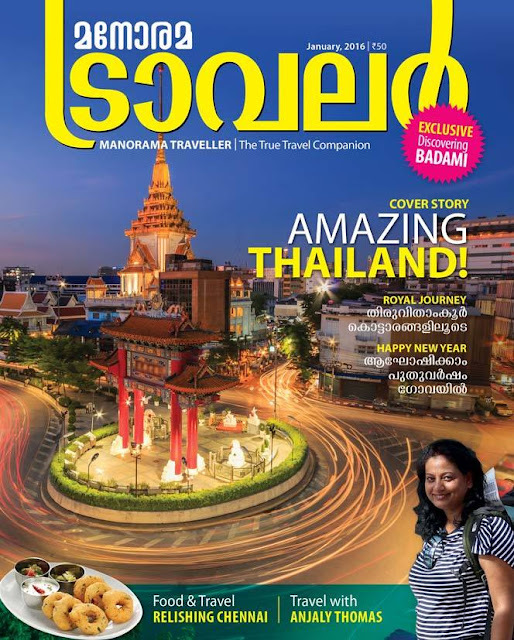 A cover story on Amazing Thailand, Royal journey through Travancore palaces, New year celebrations in Goa etc are the highlights of the issue. Other features include travelogue by director Lal Jos, column by Anjaly Thomas, special section of cultural heritage of Kerala, food column etc.